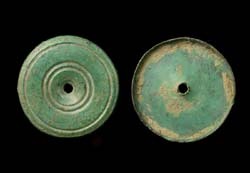 Dark green patina with brassy high-lights, no missing pieces and pin intact. 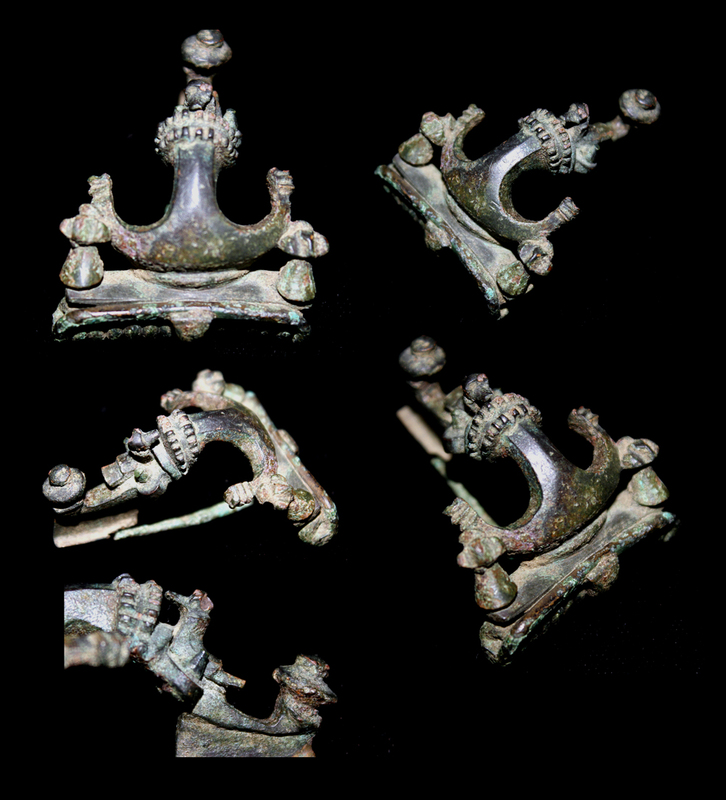 Stylized 'puppies' or not, this is a very rare fibula and is in Museum Quality condition. Don't forget to click the 'images' tab more details!